A new window will open. Choose the Recreational Vehicles (ATV picture), then choose your make, machine type, year and model. Click on the engine size and find the correct part number to the belt you need. Then choose that part number in the drop-down below. Gates new G-Force™ belts are the first of a new generation of Continuously Variable Transmission (CVT) belts. 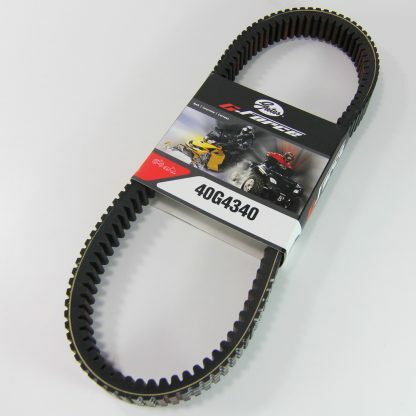 Gates G-Force belts are the product of continuous evolution in CVT belt technology, As the first of a new generation of double-cog CVT belts, G-Force belts are designed for superior performance and durability. Easy to install: Designed for drop-in installation with no clutch adjustment required. We are proud to be a warehouse distributor for the new Gates G-Force line of ATV drive belts. We have them in-stock now – ready for immediate delivery. 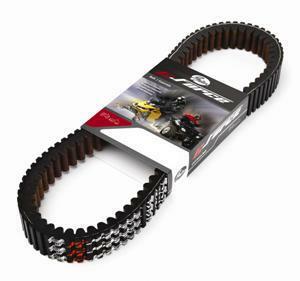 Snow Tech Magazine writes: Drive Belts Now Available at Thunder Products Gates G-Force drive belts for snowmobiles, ATV’s and UTV’s have been engineered for precise fit with drop-in performance and durability to meet the demands of today’s powersports equipment. They are every bit as tough and dependable as the OE belts. SnowTech testing of these new drive belts has indicated they are a true “drop-in” replacement, with each drive belt very carefully engineered to emulate the shift characteristics of the OE products with zero calibration changes to the clutching system. 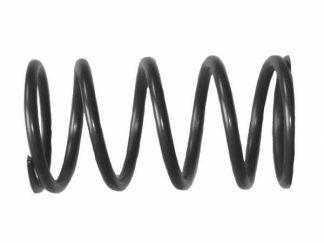 About the only thing you might have to do is re-set the ride height in the secondary, just as you would with a brand new OE drive belt to compensate for the full width of the new drive belt in comparison to the narrower width of the worn drive belt you are replacing.